This particular wheel is not available for immediate delivery. We are always receiving new wheels and most likely we can include it in one of our next shippments. Click on Place Order Now and we'll get to work right away. Here at Wheels America we are partial to OEM wheels, but we also believe our customers should have the option to save money by purchasing a quality replica wheel. Replica wheels are made to match factory wheels in both style and safety.Be careful. Some wheel sellers will try to disguise the fact that they are selling you a replica wheel by calling it a Mercedes-Benz style wheel. If you see the word Style in the title it is probably also a replica. Wheels America remanufactured wheels are guaranteed cosmetically and structurally for life (chrome, road hazards and wheel weights corrosion excluded). It does not matter who paid for it, when it was refurbished, or if you lost the receipt…If we refurbished it… We Stand Behind It. Wheels America has been refurbishing wheels for over 24 years, in that time we have remanufactured well over a million wheels. Because of our commitment to quality and safety, we can easily stand behind or product with our no-quibble lifetime warranty. Guaranteed to be straight & true. We are the best at it! 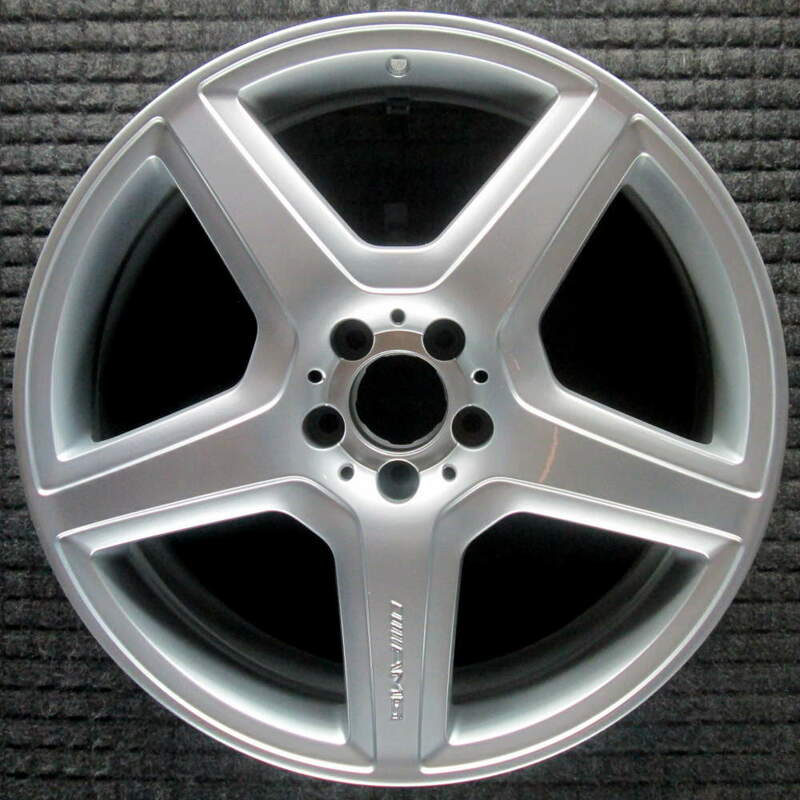 When you receive a wheel from us, it will be remanufactured to the original factory gloss and color. However, keep in mind that the shine may make it look slightly different and due to the color wear and tear of your wheel. The effect of brake dust and road debris can be seen on a car with just a few weeks of use. Wheels are the only part of your car that is going fade fast and discolor fast. The fine road debris, sand, dirt particles and brake dust all break down the gloss and color of your wheel. Your wheel is basically being blasted by the road matter every time you drive. The other factor causing slight color mismatch is that manufacturers often change wheel suppliers, and wheel suppliers often change paint companies. For this reason, there could be small variances in wheel colors even on the same wheel, and even if you buy a new wheel from the dealer. The color differences are usually minimal and not noticeable, but they do exist. Regardless your wheel is going to look great! No Hassle Returns, Customer satisfaction is our top priority. Wheels America remanufactured wheels are guaranteed cosmetically and structurally for life (chrome, road hazards and wheel weights corrosion excluded). It does not matter who paid for it, when it was refurbished, or if you lost the receipt….If we refurbished it… We Stand Behind It. Wheels America has been remanufacturing wheels since 1994. With over 25,000 wheels in inventory, we stock the most diverse inventory of original wheels in the United States. Our goal is to ensure our customer gets the correct wheel along with the best customer service experience. Be the first to know about our latest deals and arrivals. Clearance items, discount coupons and more.